At FirstBite Dental we love dental implants because they offer us the flexibility to build you a long-lasting, strong, functional smile. We have clients who come to us needing a single tooth or multiple teeth replaced. The great news is our specialised staff and our latest in-house technologies such as our CEREC machine allow us to replace a tooth or rebuild an entire dental arch effectively and efficiently. The number of implants you may require depends on how many teeth you are missing and the health and quality of your jawbone. Rest assured, you are in professional hands. We will assess your individual case and advise you of the best course of action. The other great thing is, implants allow your new teeth to look and feel so natural that nobody will ever know you were ever missing a tooth. If you are missing a tooth it is a great idea to get it replaced before your jawbone begins to lose density and perhaps leads to the loss of surrounding teeth. By inserting an implant we can secure a tooth prosthesis or crown in its place that is colour and shape matched to look almost identical to the rest of your teeth. For more information on the process and procedure for a Single Dental Implant read our page detailing the dental implant procedure. If you are missing more than one tooth or even all of your teeth, you may still be suitable for dental implants. Dental Implants placed into the jawbone acts as a foundation for us to then place a prosthesis that can have multiple teeth on it. 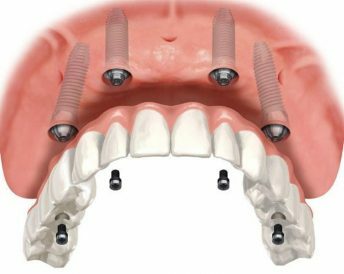 The bridgework integrates with the implants which create a strong and stable foundation to rehabilitate and recreate your smile and function. 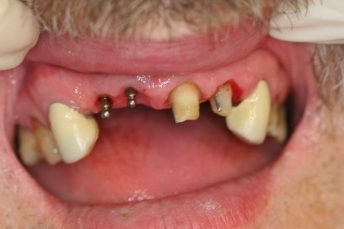 These are also called Dental Bridges, but they are supported by implants instead of our natural teeth. Are your removable dentures starting to annoy you? Or, are your existing teeth in bad shape and require removal? 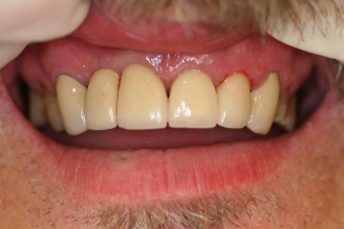 If a full arch of teeth are missing, then multiple implants can be placed, which can be used to create a full implant supported denture. Our dentures are custom made to suit your bite and create a new smile for you. These are supported by the implants that have been placed in your jawbone. This removable denture will have custom made abutments placed into the bottom of it that can be easily removed and cleaned. This treatment involves placement of a full set of teeth that are fixed on to 4 or 6 implants. This procedure is life changing, as it improves speech and recreates facial balance and aesthetics. Find out more about our Dental Implant Supported Dentures & Fixed Solutions here. Call us today and make an appointment to see if you’re a candidate for dental implants.